I had always thought I would love a book to end with the death of the main character and now that I have I can say I prefer my happily ever after each time. It was heart wrenching at the end of this book. I fell in love with these 2 characters and their romance was epic. 5.0 out of 5 starsPerfect love story!!! 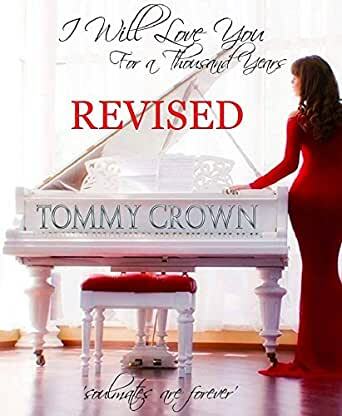 Tommy Crown has hit every emotional nerve in my body with this story! I have seen true love, joy, unexpected loss, sorrow and then acceptance through his characters. I was not expecting the magnitude of greatness that I found in this story!!! I highly recommend this epic love story to anyone with a beating heart. I read a lot of books and very few have touched me and stuck with me like this one has!!! Extremely well done and worthy of much more then 5 stars!! "I Will Love You For A Thousand Years" is a sweet short story about true love. This probably could have been written into a full length novel. I would imagine the story was too hard and emotional to share and build into 250+ pages. 5.0 out of 5 starsWhy did I wait so long to read this? I don't think I can put into words how much I loved this book. No words for the pain in my heart, nor the joy. This is an amazing book and amazing story. Thank you for the tears. This quick read will quickly burrow itself into your heart. The story is both sweet and heartbreaking. A deep lesson on the importance to live life to the fullest resonates throughout this book. A must read just make sure to have Kleenex. First off make sure you have tissues nearby, I did not see the ending being what it was. This is a very short but emotional book about true love that comes out on top. You won't be sorry you bought and read this book.